Great networking at the B2B Vip Area Lounge sponsored by BtoBet at The Amsterdam RAI and very productive opinion exchange during the interesting panel dedicated to the Mobile UX. The combination of technology and personalization is the key to attain an excellent Mobile UX. 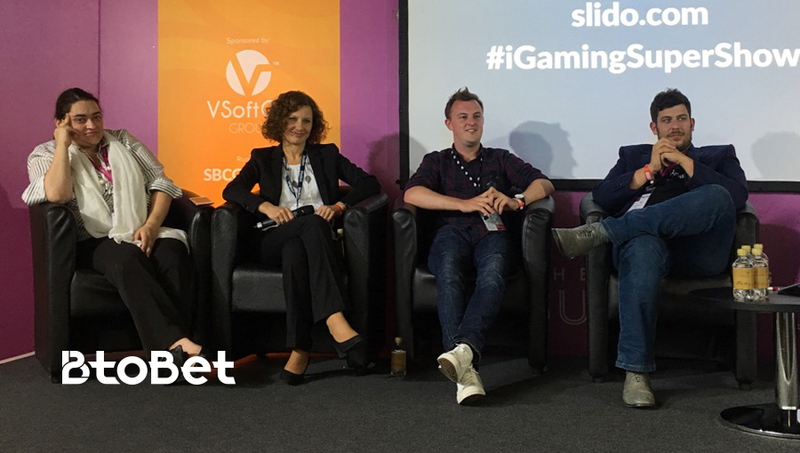 This is what industry leaders have discussed during the Panel “Mobile UX – the next big challenges for bookmakers” of the recent international iGaming Super Show in Amsterdam where BtoBet’s CEO Kostandina Zafirovska was a speaker. She shared her vision with other leaders of the industry discussing the steps operators must follow to attract and retain players in the European regulated markets. BtoBet – as a sponsor of the B2B Vip Area Lounge – welcomed several experts of the sector and operators who showed great interest in discovering BtoBet’s advanced technology tools to manage the mobile sports betting business in Europe and worldwide.